Ask the Expert: What’s the Difference Between Cachaça and Rum? In our new Ask the Expert series, Paste readers chime in with some of their most pressing booze concerns, and we do our best to help you make sense of it all. Resident expert Jake Emen has spent years on the road traveling to distilleries across the country and around the world, and he’s here to help. Want your own question answered? Send a Tweet to him @ManTalkFood using #AskTheExpert. Thus far in the Ask the Expert series, we’ve taken a look at several categories that people are confused about. For instance, brandy vs. cognac, and mezcal vs. tequila. Another hiccup arises here, with cachaça vs. rum. What’s the difference between the two, and how are they related? Interest in cachaça soared last year during the Rio Olympics, with everyone clamoring about the spirit, gulping down caipirinhas, and generally blundering by calling the stuff “Brazilian rum.” While that’s not totally inaccurate, it passes along the misconception that cachaça somehow followed in the footsteps of Caribbean-based rums, or was made in imitation of them. To the contrary, cachaça is thought to predate rum’s birth in the Caribbean—it began there on Barbados, likely in the mid 1600s—by at least a few decades, if not more. Putting aside the who came first debate then, is cachaça still essentially the same thing as rum? Cachaça is a distinctly Brazilian product, distilled from fermented sugarcane juice. While rum can also be made from sugarcane juice, most is distilled from molasses. The type of rum made from sugarcane juice is known as rhum agricole, and is therefore a closer stylistic match to cachaça. In both, you’ll find more of a range of grassy and vegetal flavors, with a distinctive funkiness. Another point of distinction for cachaça is the range of woods now being used to age the stuff. Most rum is aged in former bourbon barrels constructed from American oak. Ex-sherry casks and assorted other varieties are also put to work, as are Scotch whisky barrels. 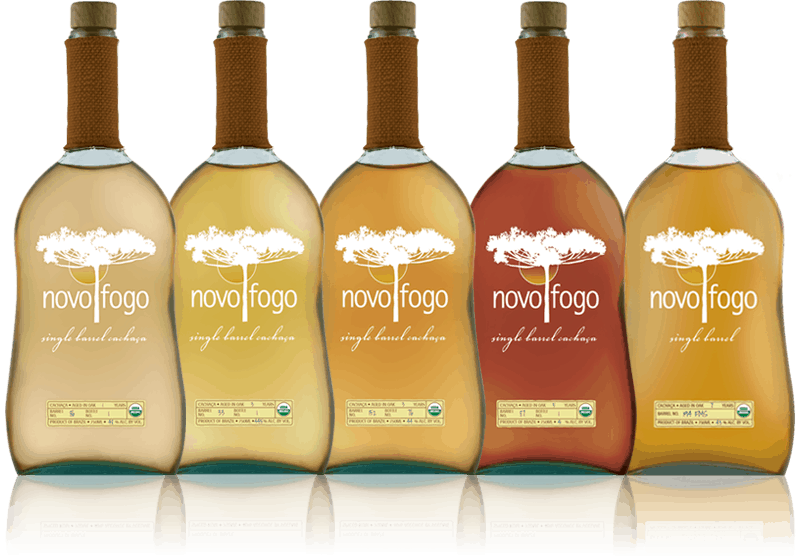 With cachaça though, indigenous Brazilian hardwoods are also being deployed, creating an entirely unique flavor influence that is not currently found in any other spirits. For instance, there’s the heavy spice influence of Amburana wood, and the nutty-fruity combination offered by Para. Other varieties put to use include Zebrawood, Cabreuva, Balm, and half a dozen more for good measure. Cachaça can only be made in Brazil, whereas rum can be made anywhere in the world. They are both offshoots in the realm of cane based spirits, and both can be aged or left unaged. Each has its own lengthy, and separate history.